Legal basis is the law of Macau, namely the Industrial Property Code, Decree-Law no. 97/99/M in force since December 13, 1999. Some IP relevant provisions may also be found in the Commercial code and the Copyright Act. Macao is not a member of the Madrid Agreement or Protocol. Trademark protection is obtained by registration. Well-known status is recognised but its enforceability is dependent on registration. Registrable as a trademark are all distinctive and graphically representable signs, three-dimensional forms, sound marks and any combination of the mentioned signs. The following trademark types are registrable: product marks, service marks, collective marks and certification marks. The application is filed at the Macau Economic Services - Intellectual Property Department by a local agent. Multiple-class and series applications are not possible. Separate applications have to be filed for each mark in each class. A signed and notarized power of attorney is required. Legalization is not necessary. Trademark applications accepted by the Registrar are published two (2) times in the official gazette prior to registration. The first publication is merely for publicity purposes and marks the two month term for opposition. The second publications makes known the IP Office's decision to grant/refuse registration after the examination process is concluded. The approximate time frame for completing the registration process of a trademark in Macao is approximately 8 to 10 months. The opposition period is 2 months from the date of the first publication of the application. Protection begins with the date of registration. A trademark registration is valid for 7 years from the date of registration. The registration is renewable for periods of 7 years. The grace period for renewals is 6 months after the due date. If the trademark has not been used in the first three consecutive years from the date of registration (or any consucutive 3-year period thereafter), it may be subject to cancellation. The official application fee is USD 125.00 for one mark and one class. No publication fee or registration fee is due. 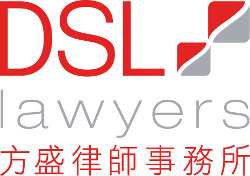 DSL is one of the leading IP firms in Macau, with lawyers who qualify as pioneers in this area, having been responsible for setting up some of the largest IP portfolios in Macau. With a sound expertise on IP matters and membership of the relevant IP international bodies, our team ensures a high quality and reliable handling of the most complex cases. Through our extensive network of law offices worldwide and membership of international associations, namely INTA and APAA, our team is able to assist in advising on the legal frame work in other countries and to refer lawyers in other jurisdictions as required.